The art lessons section has experienced a massive overhaul. Lessons are now categorized for easier retrieval. If you would like to submit a lesson for inclusion here so that others may benefit, either click on the "Submit a Lesson" link on the side menu of this page or if that doesn't work, contact me. Don't forget to submit images with your lesson. The images should be large so people can see them easily. If your images are too large to submit, contact me. 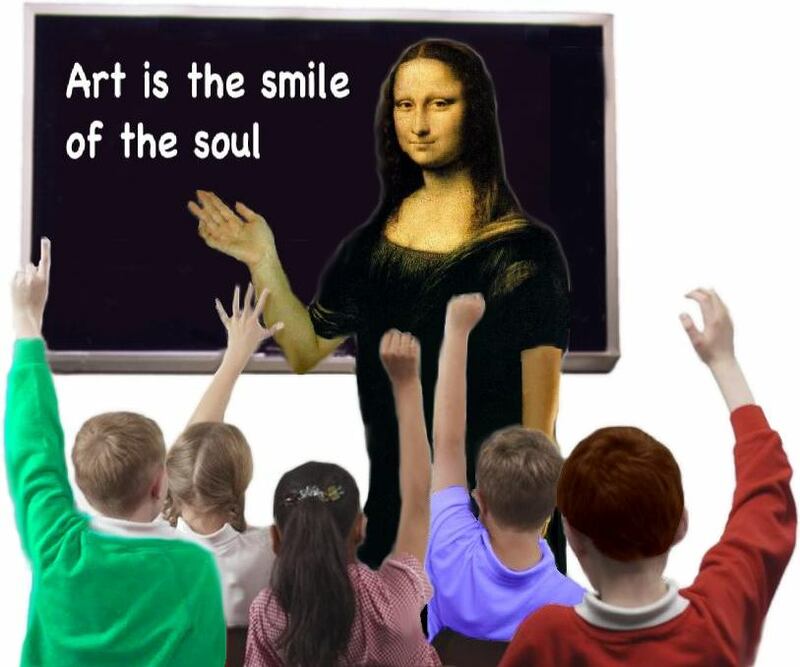 In this section are hundreds of free art lessons from preschool through the college level. The vast majority of lessons include images and examples. There are some lessons from the early days of IAD that do not include images because they were submitted in the days when teachers did not have access to digital cameras or scanners. If you see a lesson plan without an image and you have done this lesson with your class, please submit the images to me so I can include them. Because the lesson plans here are free to visitors, no financial incentive for submissions can be obtained. Ads are used to finance the hosting and work on the upkeep of the website. In case you missed it, the menu for all our lessons is on the side column. You can find lessons according to your grade level as well as cartoon and drama/art lessons. Think about the final objective for your lesson. What do you want your students to accomplish? These objectives should be measurable and relate to any state or country standards you may have. In the U.S.A., the federal standards are found on the Getty website. You should have around three objectives for each lesson. If you have too many, the lesson becomes too complicated and is more difficult to assess. Create at least one activity that will address your objectives and standards. IAD includes hundreds of lessons that offer a variety of styles. If you find one you like, you can use it as a template for your own lessons. It is important that your activity is age appropriate. Sometimes determining this requires some experience. Because anyone can submit a lesson on IAD, some may not have the quality of others. However, valuable information can still be gleaned from them and perhaps they will jog your memory enough to create better lessons of your own. There are many rubrics on IAD. Many are universal in nature and you can use them for your own lessons. Your rubrics should describe well what a finished product should look like at several levels. The skills or objectives should be on the far left column and across the top should be the levels of quality for each grade. Of course your assessments should include any local or national standards. There are various philosophies and strategies for creating art lessons that truly motivate students. Some of these strategies are found in our Teacher Toolkit section for newer art teachers. A good lesson addresses the learning styles of all students, not just a visually-oriented art student. The lesson will include activities that use the following intelligences: Kinesthetic, visual, auditory, linguistic, logical, intra-personal, and others as listed by Howard Gardner and others. A good lesson will have an introduction that really grabs the attention of students. Some call this the "anticipatory set" from Madeline Hunter's research (Additional information can be found in the Teacher Toolkit section). Without a good introduction, the rest of the lesson could fail because students aren't interested in putting their personal best in the assignment. The introduction should illustrate to the student how the lesson will relate to them personally. Finally, your art lesson should address your state or provincial standards. Good art teachers know how to integrate the arts into the other subject matter. Geometry can be integrated through architecture of the Renaissance. History can be integrated through famous art that illustrates important events in history. Geography can be integrated through creating visual maps in cartography. Science can be integrated through subjects in nature. Not all states have visual arts standards so if your state doesn't have them, have them match up with the national standards found on the Kennedy Center website.